Time. Money. People. Labor. Do you want to waste these precious resources? We didn’t think so. Then why is it that manual event registration methods still survive in planning and executing events? In many situations the person or persons making the decision about whether or not to use online event registration software is not going to be involved in the daily planning and running of the event. Often the things these decision makers care about most – like cost – are not always the same as the things that can keep an event professional up at night – like please make it easier and quicker for me! With such a disconnection, how do you make the case to ditch manual event registration and upgrade to online event registration software? When you, as an event professional, are choosing online registration software, you already know about the biggest advantages this type of software offers. Among the many benefits, you can automatically collect attendee information in a fraction of the time manual event registration requires and without the huge labor expense. Also switching from manual event registration to online registration reduces the stress load on the people running the event – you. If you need to convince someone to give you the ok for online event registration software, then you need to show the costs of the traditional manual event registration and the benefits of going to online event registration software. So we prepared 9 scary ways using manual registration is costing you as well as the benefits to using an online system. Objections! 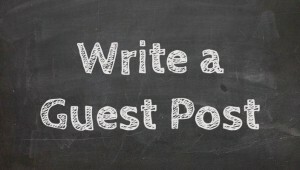 Why Are You Staying with Manual Event Registration? Do any of these objections sound familiar in your office discussions? Do you really want to keep old manual event registration practices or do you want to move forward? OK, I get it. As event professionals we are always short on time and money and sometimes we rely on tried and true practices because it seems like the quickest or easiest thing to do. Or maybe “we’ve always done it that way” feels comfortable and taking the leap to do things differently fills you, your boss or clients with dread. But it’s really time to stop and reconsider. It’s time to come into the twenty-first century and lose some of those costly, very labor intensive, extra work generating event planning practices. Break those old event registration habits, or at least the worse ones, and push your boundaries. When you do, you will realize that if you update your tools and choose the best modern practices to support your organization, it can lead to much better event and meeting success outcomes – with more hours in the day for you to focus on creating a better attendee experience. 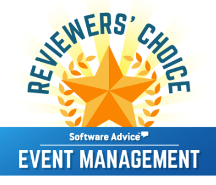 To work smarter and not harder and provide your attendees the best event experience, it’s time to change. People typically make objections to switching from manual event registration when they don’t know how online event registration works and how it will help them. What you need to make your case are some effective arguments showing the costs – in terms of time, money, labor, inefficiencies – of staying with a manual process vs. the benefits of replacing it with an online process. Here are some great ones for you to use. With manual event registration, potential attendees need to download a paper form, fill it out and either fax or mail it back to you. All event registration takes time to a point but this old traditional way is far more time consuming for attendees. Manual event registration also has potential for lost registrations, data and payment security issues and delays in registering attendees. Another problem – when you’re closed, so is your event registration process. Not good – you may miss out on getting those potential attendees. Online event registration is fast and seamless experience for attendees linking them to a form from your event website which they can complete and return with a click of a button. The registration information is submitted to your database within minutes. No need to deal with faxing and mailing. No delays with receiving information; no data or payment security issues. Also, online event registration is always open so attendees can register any time whether your office is open or closed. This is especially important when dealing with people from different time zones. People make mistakes. This happens of course when completing registration forms for events. When using manual event registration methods, such as faxes and mail-ins, catching and correcting these mistakes gets difficult and costly in terms of time and a person’s labor. It also can create confusion down the line at the event itself if not caught and corrected in time or at all. Online event registration forms can prevent people from making mistakes or invalid or conflicting selections. This results in more accurate and complete data. For example, if someone leaves an important mandatory field blank and tries to submit the form, the built in logic of the form can create a message asking the person to fill that section in before continuing. Similarly, if a potential attendee must choose between one option and another, the form can eliminate the possibility of the person choosing both options. This is not possible with fax or mail-in registrations. Manual event registration requires you and your team to manually enter all the data from paper forms faxed or mailed in, into a computer, or worse, create some paper filing system. The potential for data entry errors is significant and the time and labor it takes to manually organize the data can be excessive. With online event registration, potential attendees enter their information into an online form. It is automatically organized and stored in an online database that you can immediately access, anywhere at any time. There is no opportunity for someone else along the line to misread the data or enter it incorrectly. A common challenge in event planning is maintaining your data so that what you need is stored in one place, not on several different computers, in filing cabinets or on various desks throughout your office. This is often the untidy situation with manual event registration which can create a real potential for inconsistencies, errors, and headaches for both you and your attendees. Online event registration holds all information in one central database. Any changes or updates are done automatically. Everyone sees the same information. Information is consistent and up-to-date at all times. Also, you can access and sort the information online or automatically download it to your spreadsheet, making it easy to create mailing lists, name badges, or whatever you need to do. When using manual event registration, the average turn-a-round time from the day a paper registration form is received until the attendee gets a confirmation can take a few days. With fax and mail-in registration, confirmation is delayed as your team manually processes the registration, checks availability, and then manually creates a confirmation email or letter. This is a highly inefficient and costly use of your precious time and event personnel. Once a person submits their information through the online event registration form, the system automatically generates a confirmation email that is sent out to the potential attendee confirming their registration. This email can also contain other information you may want them to know once they have registered. Ensuring safe, secure payment is yet another reason to ditch manual event registration processes. When using manual event registration, you can often be waiting for the check to come in the mail or for a credit card transaction to be approved – or declined. In the meantime, you may have to put other potential attendees on a wait list until you know for sure that payment is coming and secured. Using online event registration, you use real time, secure online credit card processing. Within a few seconds you know if the transaction has been approved and you have the security of know you have the fees. Online credit card processing also allows people registering for your event to process their own transactions. This eliminates the need for you to individually process each transaction and from having to track people down when cards are declined because the number is incorrect or funds are not available. Often you want to limit the number of attendees to an event or meeting. With the old manual event registration method there is no easy or fast way to monitor the attendance numbers. Faxes might still be coming in when you reached your event limit and then you have to contact potential attendees to let them know that you couldn’t process their registrations because the event was full. Awkward! Online event registration helps you set the limits so that it limits the number of registrants to a particular event, workshop, or sessions. Once the limit has been reached the form will not allow any more registrations and it will notify potential attendees that the registration limit has been reached. One of the big complaints we as event professionals experience is that we often don’t know how many attendees are showing up to our event until the very last days of the registration period. This can be hugely frustrating as we try to finalize numbers for our venues, our food and beverage vendors, and any last minute materials we are preparing. Using manual event registration methods only makes this situation more agonizing. 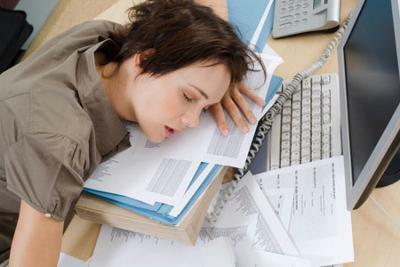 The workload is already heavy leading up to your event, who needs to make it worse? Using real time reports in online event registration system offers you the ability to watch your registration data flow into the database in real time so you can get a more accurate count of expected attendees and what you will need for your event. Interested in tracking your revenues? No kidding! With real time online reporting you always know how much revenue has been collected, if any credit cards were decline and which potential attendees still need to mail their checks. Manual event registration can’t quickly supply this type of important information which can create embarrassing registration situations for your or you client. In the traditional manual event registration, a lot of time and money is spent on creating and printing hard copy materials – from registration forms to slick event brochures and information packages. While all this might be nice and attractive, it is also hugely expensive when it comes to printing and mailing and the labor involved in getting it all done. Does your budget allow this? Not many do these days when event budgets are usually pretty tight. Online event registration allows you to eliminate or greatly reduce paper materials. You can present your event form and entire event information package online. If you want, you can print a smaller, less detailed brochure that will direct potential attendees to your website for all the information they need, including how to register online. Labor costs are much lower when using online registration than when using manual event registration methods. Less phone calls, faxes, data entry, copying, and mailing. No time to spin your wheels with manual event registration? We didn’t think so. The tools in the rsvpBOOK online event registration and management software are made to make your life easier. We’re here to save time and money so you can work smart and be successful, no matter the type or size of your event or meeting. We make the complex tasks of event planning and management, easier. rsvpBOOK helps you streamline your event processes, from beginning to end, from website details, to on-site resources, and final real time attendee and revenue reports. No need to duplicate information, manually process, and drag huge binders of forms with you everywhere. Let’s reduce the paperwork! Use your time to take care of more demanding matters – creating an outstanding attendee experience at your event. 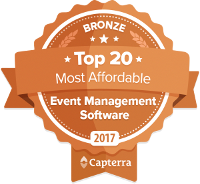 And if these reasons aren’t enough, rsvpBOOK was named a Top 20 Most Affordable Event Management Software by Capterra, the business software review website as well as a Top 5 position in Reviewers’ Choice by Software Advice, online technology review firm. rsvpBOOK. It’s smart, simple, saves you time and money. Try rsvpBOOK at www.rsvpBOOK.com. Start your free trial today!